At 7Storms, providing the best search engine optimization (SEO) service in Sacramento, California is our bread and butter and what we do routinely. With that much time, testing, and proven experience, it is what makes us the experts. Our strategy is not only to get you the rankings on the front page of Google, Bing, and Yahoo but also to keep you there as well. Because if you're not on the front page, you're losing out on customers to the competition. Therefore, we know what it takes to get you to the front! 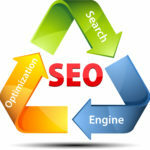 We will sit down with you to review your company's SEO goals and objectives. As well as let you know if your goals are realistic and or obtainable in terms of time and budget and make changes as necessary. Afterwards, we will draft up an action plan to launch a marketing campaign and started. So it doesn't matter if you're located in Sacramento, Elk Grove, or need a San Jose SEO expert, we've got you covered. Keywords targeting is what it's all about in SEO. We will work together to understand your business and the keyword clouds encompassing it. Then, we will select the most appropriate keywords. As well as review the website’s on-page SEO and make suggestions on how to better improve it. Here we will configure your website for use and integration with Google Analytics and Search Console. Getting statistics is the first step in understanding the positioning of your website in terms of how search engines view it. At this phase we are done with the talking because it's time to take action and start getting the work done. Because this is where the excitement starts as we work hard to progressively improve the ranking of your website. To eventually get to the front of the search results page. For local businesses, it's vital that you get on the map for local searches and mobile smartphones. Therefore, we will audit all citations to your business and correct and improve or add as necessary. The first action to take is an overall analysis of your website. Here, we'll audit your website for SSL security (protocol), as well as website security for firewall, intrusion detection, and logon attempts from the bad guys (hackers). This is the foundation of a high ranking website. Next, we'll go over the performance of your website. We'll make sure the load speed, hosting, images, scripts, and more are optimally configured. To finish this off, we'll optimize your site structure, tags, and content. The way traffic flows in and through your website is critical to search engines. As Google likes navigation- friendly sites, we will review and make recommendations as needed. Of course this all starts by consulting with your local Sacramento SEO and forming a strategic plan to optimize all links first. If your website is not mobile compatible then your business is already in a world of hurt. There's a couple reasons why. Nowadays, mobile smartphones searches are dominant over the desktops. And the second reason is that Google will favor mobile sites in returning search results. So with that said, if you're not mobile, you need to contact your local Sacramento SEO expert 7Storms ASAP. Launch Your Google Campaign Today.